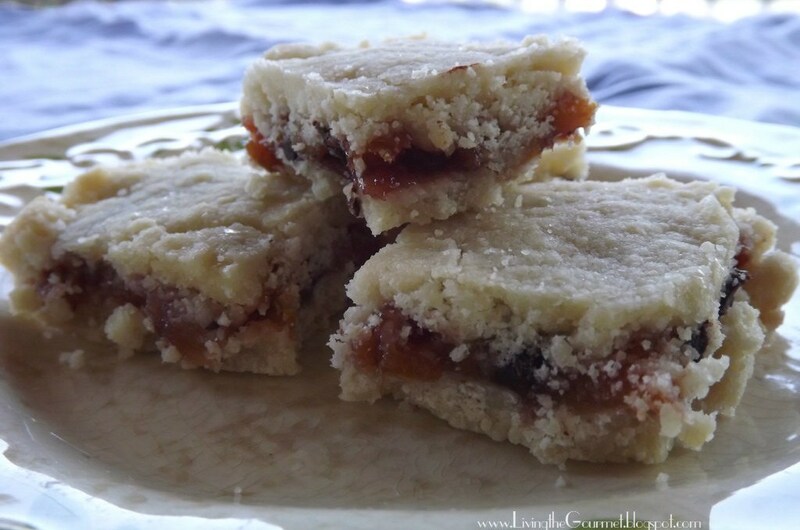 Foodista | Recipes, Cooking Tips, and Food News | Shortbread and Dried Fruit Bars!!! 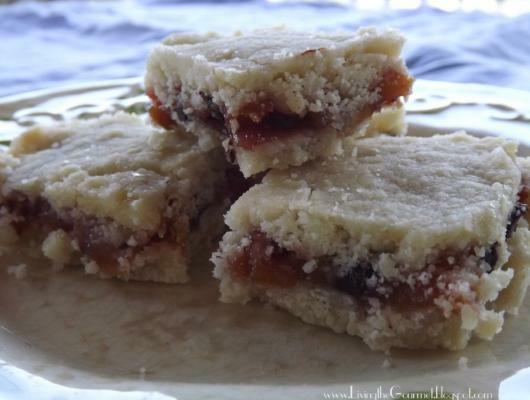 Shortbread and Dried Fruit Bars!!! Line the button and sides of a baking dish with foil. Combine all ingredients needed for the shortbread crust and pressed down on the button of the prepared dish. Bake for about 20-25 minutes of until edges are slightly golden. In a small saucepan, boil dried apricots with water and sugar. Remove from heat, let cool and then finely chop apricots. In a small bowl, mixed together the apricots with the berry marmalade, walnuts, chocolate and honey. Spread over the shortbread crust and set aside. Repeat the directions for the Shortbread crust. Cover the berry mixture with another shortbread crust. Pat down and bake once more for about 20-25 minutes. Let cool completely on a cooling rack before serving. Enjoy! !